Tie on a bib and let the good times roll! Kick off the weekend with chill vibes at Catch’s first-ever Crab Shack event, a laid-back celebration of all things crustacean. 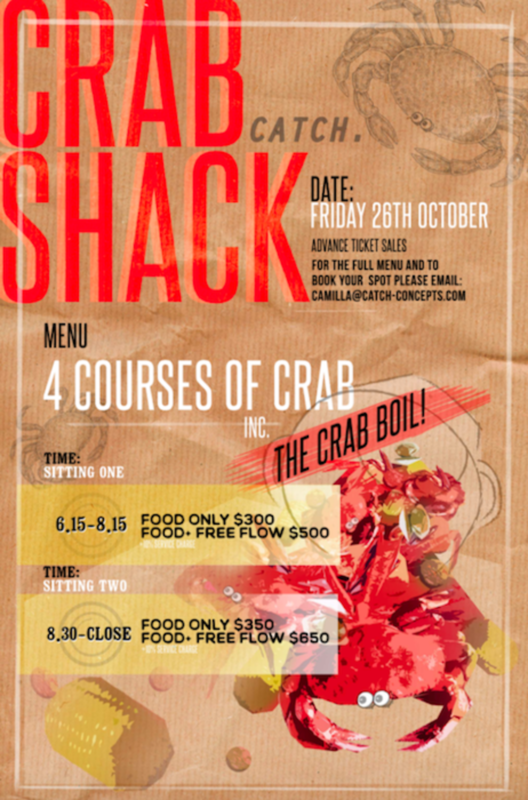 On Friday, 26 October 2018 (2 sittings: 6:15pm and 8:30pm), a four-course menu (from $300/person) featuring crab salad, crab tacos, fried soft-shell crab with garlic and Thai basil and crab boil will share the table with a selection of Elementary’s ice-cream sandwiches. Free-flow options are also available.